Each Android user has probably experienced the Google Play Store suddenly crashing and burning. Whether you get a Google Play Store error message when downloading apps or the Play Store just doesn’t work when you launch it. In most cases, you just need to empty the cache of the Play Store app. In order to empty the Play Store cache, you just need to open the settings and find the Apps section. Now choose ‘All’ and find the Google Play Store. Tap on it and press on the ‘Empty Cache’ button. Now when you open Google Play, it should run as before. If the first tip didn’t work, then you can try deleting the data from the Play Store. This pretty much sets the app back to square one and gets rid of your saved information – hopefully including whatever was causing the problem. The option is again found by following the same route as above, but this time you tap on ‘Delete Data’. Even this can help. Sometimes an update will get Google Play all out of whack, so it makes sense to uninstall an update, which you do by going into the settings, search for Google Play Store and press the button that says ‘Uninstall Updates’. Should Google Play still not work, then emptying the cache for Google Play Services could do the trick. Go to the application manager in your settings, look for Google Play Services and press the ‘Empty Cache’ button. Go back into the settings of your phone, but this time to ‘Accounts’ and choose Google and select the Google account that you use for Google Play. Choose ‘Remove Account’. Confirm your choice and reboot your smartphone. Reinstate your Google account once it has completely loaded by going through Settings > Accounts > Add Account > Google. To perform a Factory Data Reset you go to your Settings once again, then ‘Backup and Reset’ and select ‘Factory Data Reset’ at the bottom of the list. The version history of the Android mobile operating system began with the release of the #Android beta in November 2007. 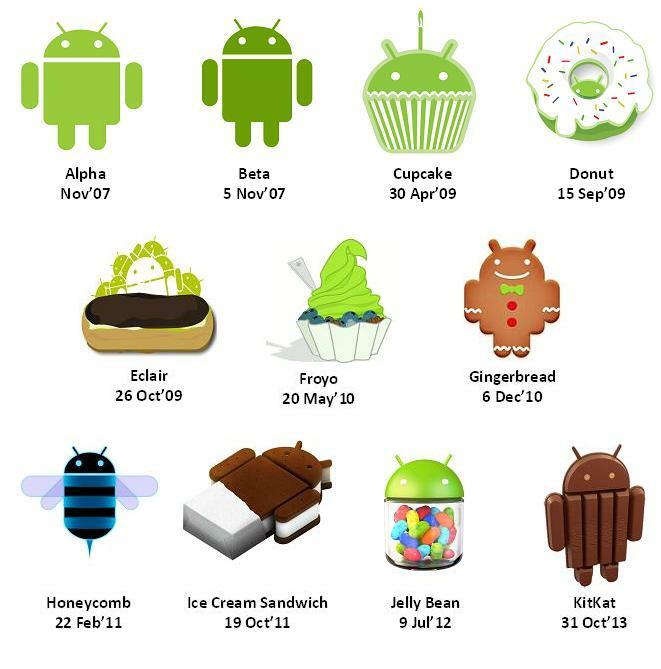 Since April 2009, Android versions have been developed under a confectionery – themed code name and released in alphabetical order. Android L will be bringing us is newly designed notifications. Android L is built for the multi-screen world, giving you the power to create innovative apps for screens big and small. How long to display the notification, whether to ignore persistent notifications, open associated app with a double click and lock it to only show notifications when in full screen mode. * Lastly but most importantly, Android L is a much faster yet slicker beast! For the road ahead, Android Auto was designed with safety in mind. With a simple and intuitive interface, integrated steering wheel controls, and powerful new voice actions, it’s designed to minimize distraction so you can stay focused on the road. Android Auto automatically brings you useful information, and organizes it into simple cards that appear just when they’re needed. As part of Android’s foundation, Android developers built safeguards like application sandboxing, which confines apps, minimizing their ability to damage other parts of your phone. But just like your home, Google offers a built-in “service layer” (kind of like the phone equivalent of that alarm service for your home) to most every Android phone and tablet that’s constantly being strengthened, and it’s included for free. 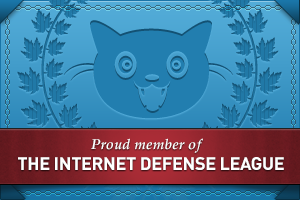 We’re adding to that service layer, further fortifying your Android phone or tablet. Because potentially harmful applications are very rare, most people will never see a warning or any other indication that th ey have this additional layer of protection. But we do expect a small number of people to see warnings (which look similar to the existing Verify apps warnings) as a result of this new capability. The good news is that very few people have ever encountered this; in fact, we’ve found that fewer than 0.18% of installs in the last year occurred after someone received a warning that the app was potentially harmful. BlueStacks has helped Windows users run Android apps on their PCs for a few years, but now the AMD-backed company is going a step further. The graphics titan has just announced that a new version of BlueStacks will be able to run full-on Android, right on your desktop, tablet or notebook loaded with Microsoft’s operating system. Rather than leaning on the BlueStacks App Player for virtualization, the coming version of the software will run the entire OS, giving folks access to a veritable Android interface, settings, configuration and more. What’s more, apps running through Google’s OS will have access to files that reside on the host desktop. Still, BlueStacks retains the ability to run applications in windows or in full screen. The firm says optimizations courtesy of its 4th-gen APUs help make this possible, but it’s not clear if the software will only work on machines using their silicon. There’s no word on when this refreshed software will drop or what version of Android it supports, but expect more news to trickle out as CES continues. We always find the best place for our safe life. And Search engine Giant Google brings what an Advanced Technology for the people and future life – that’s unbelievable. Recently, Google is working on 3D-Sensing Advanced Robot system for Android OS, where Android OS based Smartphone can easily scan your own surroundings, mapping and Android OS Roaming Robot take snapshot of your space, that suggest how you can live safely.